World-renowned photographer Chase Jarvis acknowledges that the best camera you can have is the one that’s with you. It doesn’t matter if it’s a 20- or 2-megapixel camera as long as you’re able to capture that moment. One of the many reasons why the iPhone has gotten so popular since its birth wasn’t because it has a really great camera. Definitely not. On the contrary, the iPhone’s camera has really disappointing performance. Slowly but surely, photography apps started trickling into the iTunes App Store. These jewels gave the iPhone a little a bit of a nudge in the imagery department. Now, you are able to snap a picture, edit it colour-wise, add effects, crop the image, build a frame around the photo and send it out to various social networks like Twitter and Facebook; all from your iPhone. Absolutely staggering. Most of these photography apps are commercial. However, hidden away in the nooks and crannies, I’ve found a few free apps that pack quite a punch. How much “punch”? Let’s find out. Here’s our starting point: a dreary photo of the crossroad outside my window, taken with the iPhone’s built-in camera. Let’s see what we can do to make it better. Giveaway: We have 10 promo codes for every commercial app listed here to be given away to our readers. Find out how to win one after the jump. Shooting utilities provide you with the tools you need to actually take a better picture. There were several challengers in this department but Camera Genius lulled me towards it. 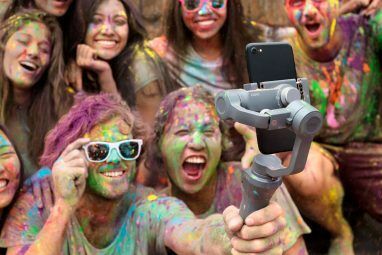 Actually a pretty simple to use application, it supplies you with digital zoom, the ability to snap a picture by yelling, “Cheese!”; it helps everyday folks cope with the iPhone camera’s innate flaws. It also has an anti-shake function that’s quite useful when taking night shots. When I first started this app (after testing Camera Genius) I was amazed at the numerous tools that it had. Gorillacam felt so refined, it was hard to believe that I didn’t need to pay for it. Having almost the same features as Camera Genius, it sports a self-timer, time-lapse and burst modes, a bubble level, grid view and a larger capture button. The only thing missing was the voice-activated capture function, which may sound like a gimmick but I think could be useful in some situations. These apps add effects and allow you to edit the photo once it’s taken. They can turn a boring image into something spectacular. Take a look. With a name like that, what else is left for me to say? Best Camera is endorsed by Chase Jarvis himself and there’s good reason for it too. The interface is totally out of the ordinary. At the bottom of the screen, there is a Mac-like Dock holstering “filters” with predefined image effects. Just tap on any one of them for a preview and tap on Apply to set the effect. There are 4 image effects and 8 colour editing tools: lighten, darken, fade, contrast, warm, cool, desaturate and vignette; followed by the crop and frame tools. After you’ve applied the filters, you can re-arrange them by tapping on the filters button at the top right. By re-ordering the filters you can achieve several different varieties of effects. Best Camera allows you to save your processed images in their original size or a smaller if you wish. After all that, you can select where you’d like to share your photo: Facebook, Twitter, via email or thebestcamera.com, a website dedicated to featuring photos taken and edited with Best Camera. Camerabag is another application that comes with a set of predefined image effects, 11 to be exact. You can preview these effects by taking a snapshot with the app or by loading an existing photo. Camerabag takes a while to render the previews but the effects are jaw-droppingly awesome. This could be one of the easiest ways to quickly add a beautiful colour filter to an otherwise bland photo. Hipstamatic comes with 2 types of film and 2 different lenses. The film determines the type of frame the output picture gets and the lens controls the colour. Altogether, you only get 4 different combinations of effects with the set of film and lenses it comes bundled with. Purchase the expansion “Hipstapak” and you’ll get 2 more types of film and an additional 2 lenses. After you’ve shot your photo, it appears in the prints library. Tap on the image once and you’ll be able to find out the combination of film and lens used. Hipstamatic takes a different approach to image effects — instead of post-processing the image, it allows you to be creative and manipulate the variables to come up with your own, original image effects. Compare this with the starting right at the beginning of the article. Notice any changes? Retro Camera, as the name implies, adds a retro look to your images. By selecting the type of film, grain, textures and frame; it can actually create a surrealistic photo as though it was taken back in yesteryear. The only problem I have with this application is while the selection menu is active, the photo’s view is blocked. So choosing the right effect is like taking a shot in the dark. Retro Camera does have a free version but it adds a pretty large banner at the bottom of the image, which you can easily crop out. This application gives Camerabag a run for its money. Mill Colour has a selection of 10 predefined image effects that is absolutely stunning for a free application. It also renders the image previews much quicker than Camerabag. Once you’re done choosing your preferred effect, you can tweak the image further by adjusting the gain, lift gamma and saturation. If you’re not sure what each setting does, tap on the info button at the top of the screen. It’s pretty well documented. There’s not much to say about this simple app. Point, shoot and save. I’ll let the picture below do the talking. I won’t go into detail about Photoshop Mobile since Bakari has always written about it Photoshop Mobile - A Freeware Image Editor for Your Mobile Photoshop Mobile - A Freeware Image Editor for Your Mobile Read More not too long ago. What PS Mobile does offer which Mill Colour doesn’t are the crop and frame tools. I suppose both of these apps work really well with one another, one provides stunning effects, the other wraps it up. These apps offer the ability to digitally zoom in on distant objects. I’ve found Camera Zoom 2 to be a really great tool and I know just the free app to challenge it: Zoom Photo. The major difference between these two apps (besides one of them being free) is the output size. Camera Zoom 2 saves the images at 600×800 pixels whereas Zoom Camera only saves them at 300×400. Initially, you will think that Zoom Camera’s images look smoother and more refined compared to the jagged photos from Camera Zoom 2. It’s only when you put them side by side will you see the difference. Camera Zoom 2 actually has a lot more detail albeit a bit more noise as well. Nevertheless, Zoom Camera is a worthy contender. Then tell us where you’ve shared it and which app you would prefer. You’re only allowed to choose one but you may list another as your second choice. Don’t forget to enter your email address so that we can get in touch with you. The giveaway ends on Christmas day. Winners will be chosen randomly. Enjoy! 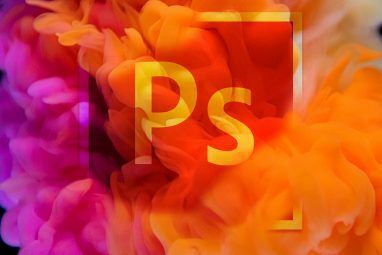 Explore more about: Adobe Photoshop, Image Editor, MakeUseOf Giveaway, Photography. autoportrait is a great application, it is actually really accurate. What is does, is it talks you through taking a self portrait with your face where you want it if that makes sense. It's free, so there's no harm in trying it out. Thanks for the special offer. I retweeted. I would like hipstamatic. What??!! No mention of Snapture?! I shared this on FB and Twitter. My 1st choice is CameraBag. I shared this on twitter, http://twitter.com/mloberg. I would really like Best Camera. I re-tweeted this article. I would like to try camerabag. I use hipstamatic and photoshop mobile now, both apps are great. Posted to Facebook. I'd like Camerabag, alternately BestCamera. I need all the help I can get since my dedicated camera is broken, the iPhone is all I have! I shared via Facebook. This article collects a lot of great apps, but if I had to choose only one, I'm curious about HipstaCam. I already have and use Mill Colour and Photoshop Mobile. I retweeted and would love to have Best Camera. Thanks for the post. Re-tweeted and shared of FB. My choice is Gorillacam. Or Hipstatic. Hey Victoria, Gorillacam is free! Excellent Post, shows the use of all those apps. well done! Shared tweet and facebook. Would love Camera Genius or Hipstamatic. Great reviews here! Thank you and happy holidays! I would like camerabag because the helga effect looks amazing! shared on facebook! awesome apps, Jackson you are quite the app hound! If I could get camera bag it'd rock my holidays. If that is already taken I'd love Hipstamatic. I used Camera Genius before, and also tried Gorillacam, but I didn't hold on to it because it lacks anti-shake, which is a must-have for me in a camera app - blurry pictures are simply worthless. Neat, thanks for the suggestion. It's getting really hard to keep track of new apps in the App Store. Ok I did both I shared on Facebook and Re-tweeted this article. I would like any app except photoshop that you have codes left for.